Moboom uses a grid—made up of columns and rows—to provide make your site responsive. The Row Background is an easy way to add a color or a background image to row. Add this widget to a row, then set the color or add a background image. Sections on a single-page website. 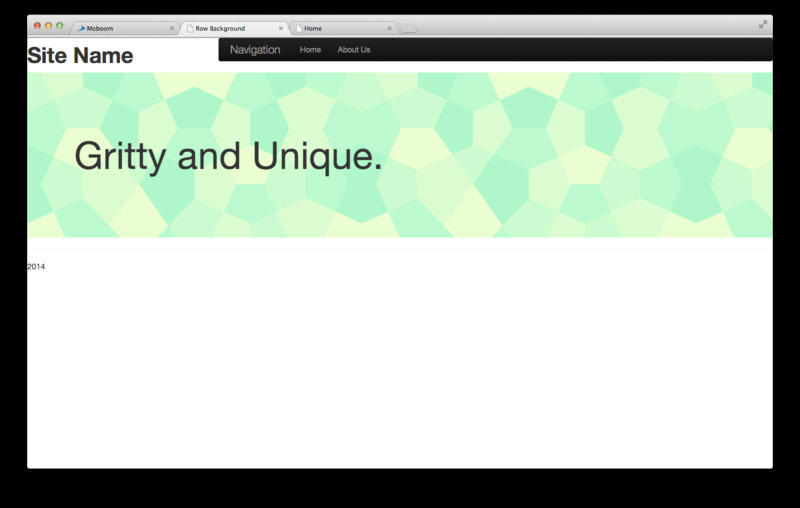 A modern style for simple sites is to just create one page with various sections. Visually separate these sections with different colors or images. Distinguish a headline. Call attention to headline text on your home page with a background color or striking image. Make page titles stand out. Use this widget for the title of a page (like About or Blog) so it stands out from the rest of the content.